So as the weather starts to change so my cook’s heart turns to soup. Turkey is a great soup-drinking nation after all and in many regions it is even served for breakfast. The soups here are wonderfully hearty and nutritious often full of grains and pulses and enriched with herbs and spices. They are not the stuff of dinner parties as they are pretty filling; more suited to family meals really. It’s very easy really: there are two kinds of lentils or mercimek (pron: mer-ji-mek) in this country: red and green. The reds are mainly for soups as they soften up very quickly, while the greens are more for salads and yemeks/meals since they hold their shape better.I remember when the only soup/çorba (pron: chor-ba) I knew came in a can. It took some time for soups to find their way into this young bride’s fledgling cooking repertoire but once I got it, there was no holding me back. This is because I immediately saw how easy and quick, not to mention cheap, they are to make. Today we all have stick blenders too, no need for time-consuming sieving. Soups keep so well: the taste even improves with a few days in the fridge. A typical Turkish meal will usually include a soup, an olive oil dish, and a main course. The most traditional soup of all here is probably tarhana, a sun-dried mixture of coarsely ground wheat and yogurt, spices and tomato paste. It is the original packet soup as it is mixed with water in order to reconstitute it. Another great favourite is lentil soup. In winter I make this about every 10 days. My recipe produces a tasty,robust soup but the method of making the one below is entirely different to mine, and so is the consistency. The taste too is much more subtle. I highly recommend it. Stirring lentil mixture into the butter and flour – just keep stirring! Put the prepared lentils into a saucepan. Add the whole onion, cumin, salt and 8 cups of water. Bring to the boil and cook gently for 30 mins on a low heat, stirring from time to time. Remove the onion and discard. 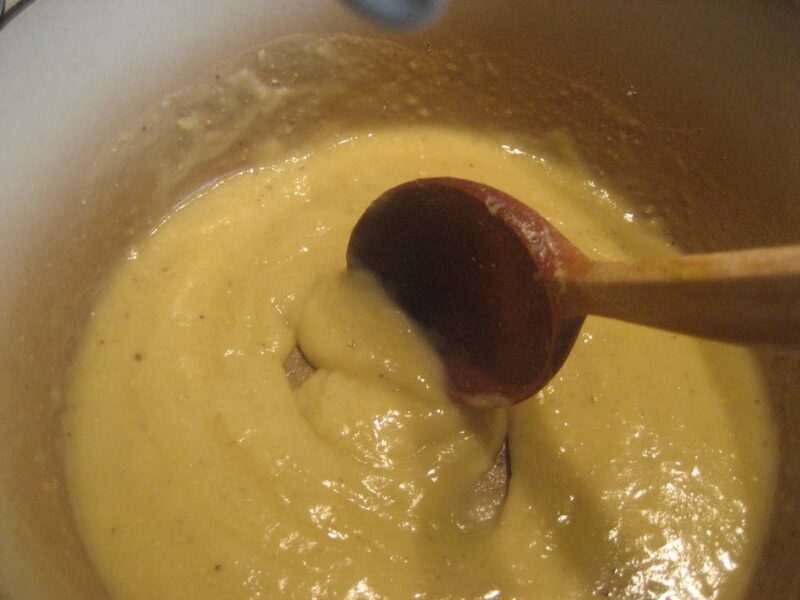 Use your hand blender to puree the remaining mixture. In a separate pan, melt the butter. Add the flour cautiously, stirring all the time so that it blends smoothly. Cook for 1 min. Bit by bit, add the lentil mixture to this, stirring continuously, and add the lemon juice. If your soup is too thick, add up to one extra cup hot water. Add salt and simmer gently for 10 more mins. Melt the butter in a small frying pan and let brown slightly. Stir in the red pepper. Serve the soup piping hot with the garnish swirled on top, and pass round the croutons. 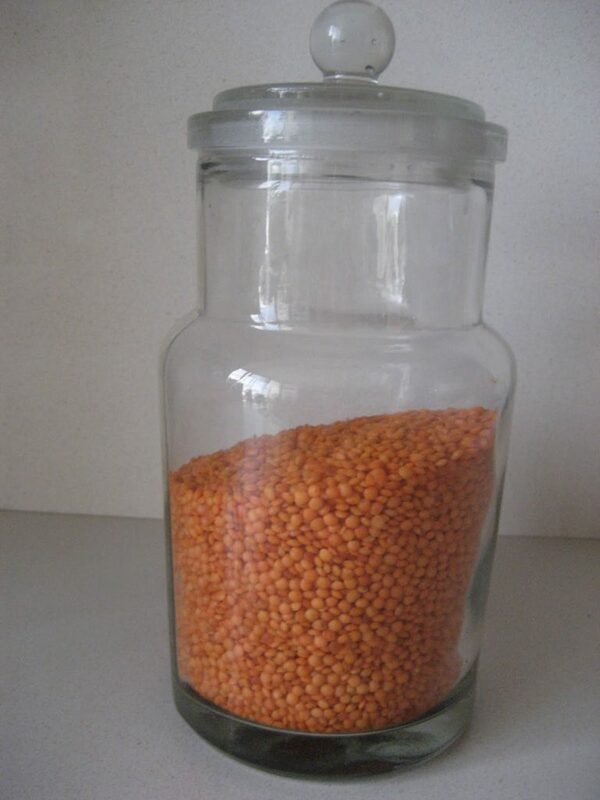 · The lentil soup that I traditionally make is easy: take 1 onion, 1 carrot, and 1 potato, wash and chop. Shape doesn’t matter as they are all going to be blitzed in the blender later. Heat 1 tbsp olive oil together with a knob of butter in a heavy pan and gently saute all the veg for a few minutes, stirring all the time. Add 10 oz/approx 275 gr washed red lentils and stir. Add cumin to taste: we love it so I put 1 heaped tbsp. 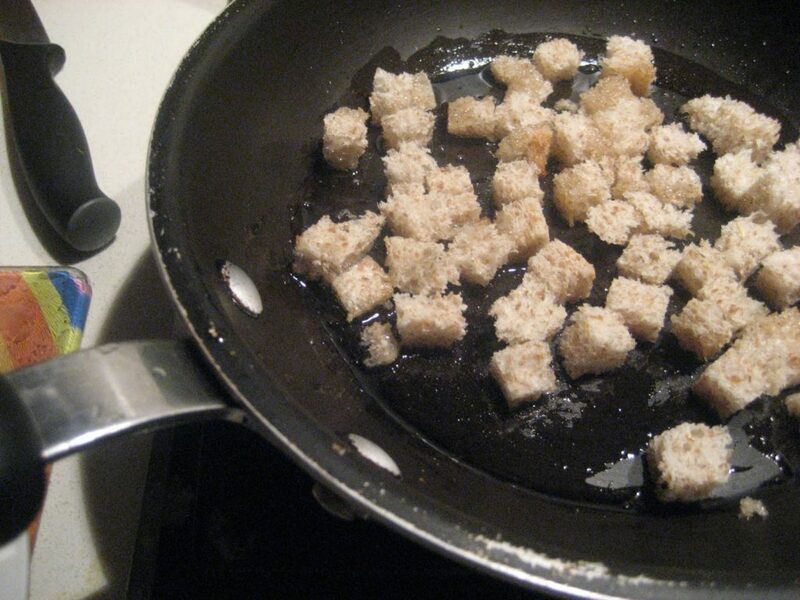 Fill your pan three quarters’ full with warm water, crumble in one chicken stock cube, and bring to a gentle boil. Lower the heat, half cover the pan and cook until the lentils and vegetables are completely soft. Keep an eye on the water. Add more if necessary. Cool before pureeing in the blender or use your stick blender. The blender produces a smoother consistency. If the soup is too thick, add more water and stir. Consistency is important as it mustn’t be too solid. Check for seasoning. 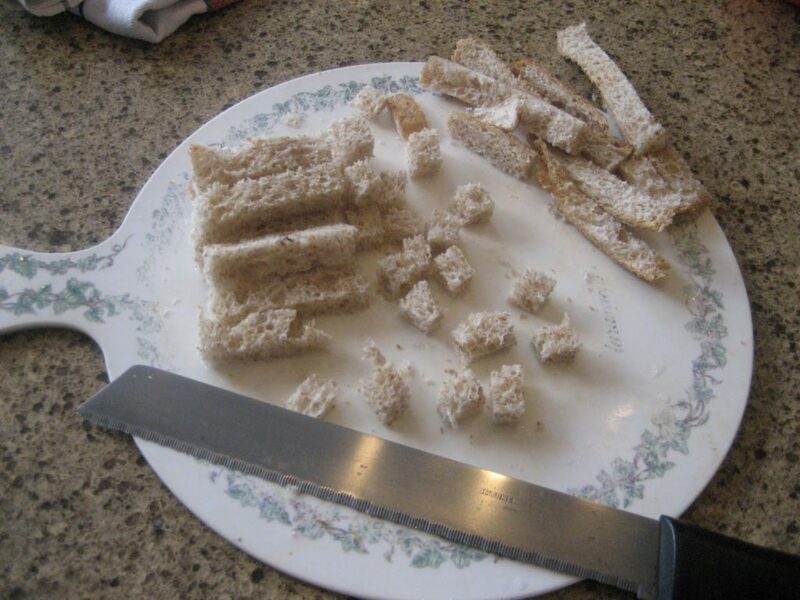 Makes a great lunch with a slice of bread. Serve with dried mint and red pepper flakes scattered on top. It is really much easier to blend if the mixture is thicker rather than more liquid. You can always add more water afterwards once you have poured or scraped it into the pan..
· We’re not really talking about green lentils, but believe me, they benefit tremendously from being soaked for at least an hour, preferably overnight. Easier to cook, easier to digest! Why don’t you try lentil soup tonight? Claudia – this sounds like something even I could make! and i love lentil soup. When you say "put the prepared lentils into a sauce pan" what does that mean? Prepared how? washed? Hello Claudia, I really enjoy your blog … mind if I mention it on mine? I too am an expat in Turkey and occasionally post about food; wish I had more time so I could devote more time to recipes and showcasing the seasonal local produce! Instead, I'll just send people your way! hi both of you! Thanks for your comments. first to you, Jill: yes, prepared here just means really, really well-washed. Cecile, hi, I don't know you but I am so pleased you like my blog! Are you in Istanbul?That would be great if you send people my way! thanks! 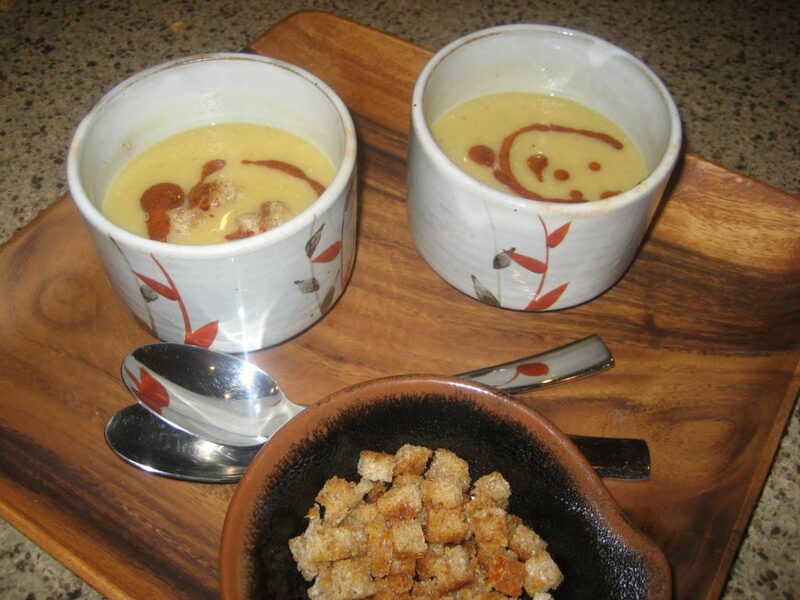 Hi Claudia, I love Lentil soup too and have a lovely recipe for it which I will share on my blog so you can try. I will make yours for lunch on Saturday when we have friends coming and then I have the perfect excuse to talk about Turkey too. Thank you for adding my blog to your list. I am indeed, we just met up in London to talk about a possible joint venture. She is lovely and I feel as if I have known her for a long time as we stay in touch regularly via the web. Cecile, what's your blog? I would love to see it. Sorry, didn't pick up on that! where do you live in Turkey?